Amazon.com, Amazon.ca, and Barnes & Noble. One day while daydreaming about a conversation between an angel and God, I found myself wondering. What if a person grew up in a poor situation, learning vile behavior and making bad decisions because of their upbringing? If underneath it all, they had a good heart but made stupid choices, would it really be their fault in the end? Would that person deserve to go to Hell? Damn You is NOT a religious novel. Although I have used some spiritual theories such as Heaven and Hell, these serve as settings and places of fantasy only. Damn You is an imaginary tale about an all-loving, but imperfect God. My characters: the Angels, Demons, Good and Evil are pure fantasy and any opinions or names are fictional. This is not a story containing religion, but an agnostic view of angels and a divine world beyond. I have not finished Damn You, but hope to have it available by the summer of 2018. Please feel free to follow my facebook page and watch for updates. 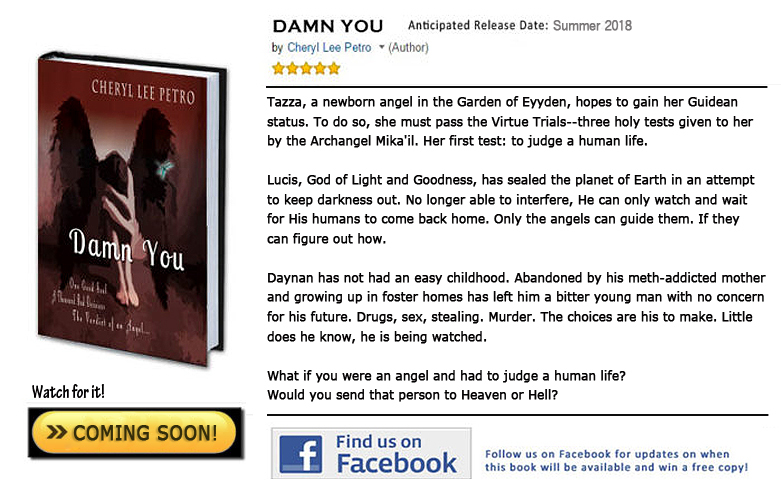 “Like” and join the page and you will be entered to win a free copy of Damn You as soon as the book comes out!! 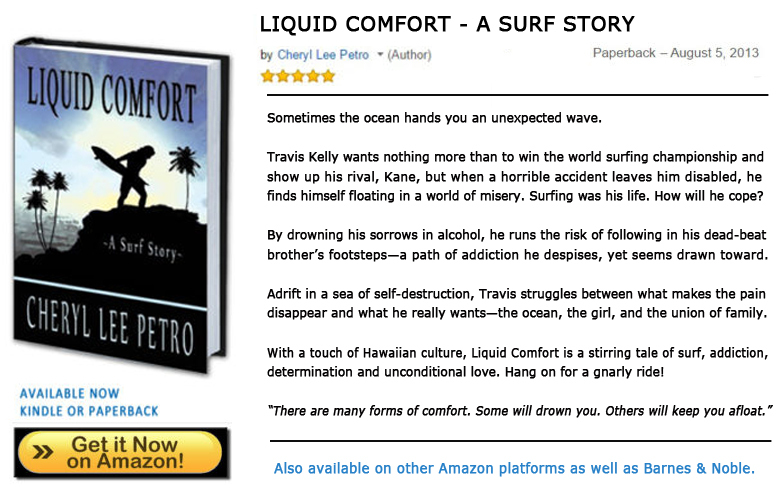 To reserve a copy, please send me an email at: cherylleepetro@gmail.com. More information on both books can be found on Goodreads.